Our newest market totes are the minis! 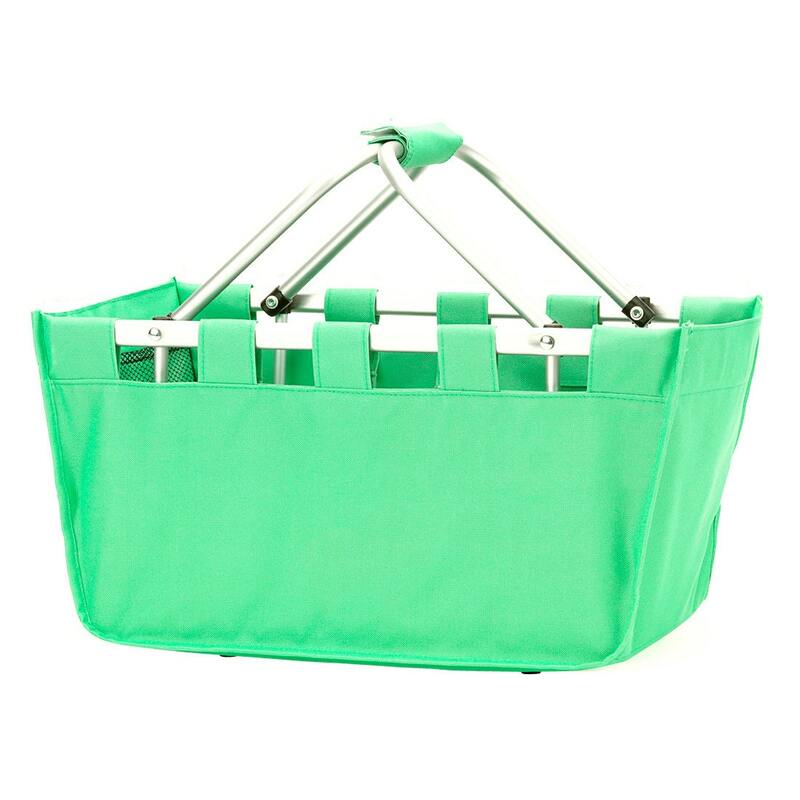 This mint green mini tote would be perfect for bridesmaids gifts, keeping in the car to round up all those items that seem to get scattered, or even organizing books and toys for a trip to the doctor's office or a long car trip. The frame is metal and collapses completely, as shown in the third photograph. The fabric part of the tote is removeable so you can wash it. The bottoms side has plastic feet. A velcro strap sectures the handles. Each short end has a mesh pocket--it's great for keeping track of small items like pens, crayons, or your lipstick.